Sipping espresso on the international spacestation? Yes! 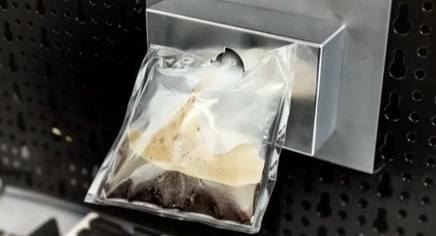 Good news for astronauts who miss their morning joe: the Italians have engineered a substance called “ISSpresso” — a play on the acronym for the International Space Station (ISS) — that will allow them to get their caffeine fix. Italy sent astronaut Samantha Cristoforetti to the ISS with a specially engineering espresso machine that can work in zero gravity, allowing astronauts to sip espresso through a straw, according to TIME.